9JR-00016 Microsoft® Surface w/ Windows RT -64 GB Bundle SC 15 999,00 р. 13 999,00 р. 9HR-00016 Microsoft® Surface w/ Windows RT -32 GB Bundle SC 13 999,00 р. 11 499,00 р. 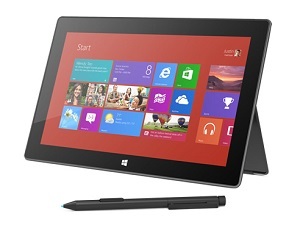 7ZR-00016 Microsoft® Surface with Windows RT – 64 GB SC 13 999,00 р. 11 499,00 р. 7XR-00028 Microsoft® Surface with Windows RT – 32 GB SC 11 999,00 р. 8 999,00 р.
D5S-00053 Microsoft® Touch Cover SC Russian a 1 License Black 3 290,00 р.
D5S-00054 Microsoft® Touch Cover SC Russian b 1 License White 3 290,00 р.
D5S-00055 Microsoft® Touch Cover SC Russian c 1 License Cyan Blue 3 290,00 р.
D7S-00016 Microsoft® Type Cover SC IT/PT/RU/ES f 1 License Black 4 990,00 р.
Q6T-00009 Microsoft® 24W Power Supply – Win RT SC IT/PT/RU/ES 1 590,00 р.
W7S-00006 Microsoft® VGA Adapter – Win RT SC IT/PT/RU/ES 1 590,00 р.
Z2S-00007 Microsoft® HD Digital AV Adapter – Win RT SC IT/PT/RU/ES 1 590,00 р. 3LR-00014 Microsoft® Wedge Touch Mouse SE Bluetooth IT/PT/RU/ES 2 990,00 р.